In this episode, Robert and I lament how large brands and their agencies are pouring millions of dollars into events like Digital NewFronts, when the funds could be better deployed on content marketing. We also debate whether or not native advertising is deceptive, show our support of Marc Adreessen’s prediction on the growth of online news, talk about why the written page may be the smartest “device” for reading in the future, and share a #ThisOldMarketing example from NAVYForMoms.com. The NewFronts — Media Brand Shakeup or Shortsightedness? (2:00): Major media players like AOL, BuzzFeed, and Hulu announced their new slates of online shows, looking to lure advertising and sponsorship dollars. According to AdWeek‘s coverage of the annual event, many new online shows feature A-list celebrities, which I believe demonstrates growing momentum for online delivery of entertainment. Yet Robert feels this further demonstrates the myopia of agencies that continue to focus heavily on advertising, sponsorships, and product placements rather than leveraging content marketing to build online brand awareness. Native Ads — Disguise or Outright Deception? (11:04): An opinion piece published on Entrepreneur magazine’s site warns that a growing number of brands are disguising their native advertising efforts as editorial content, which could lead to a loss of audience trust. The author, who is CEO of an online advertising network, claims publishers must make native ads abundantly clear, so consumers won’t be confused. 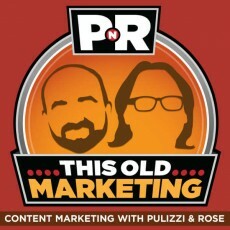 Robert and I discuss what brand marketers should focus on (hint: it’s not the wording of the ad disclaimer). Andreessen’s View on the Business of News (21:10): Marc Andreessen, founder of Netscape and a Silicon Valley venture capitalist, declared in Politico Magazine that the news industry will grow to 10 or even 100 times its current size by 2020. He outlines eight revenue models publishers can use to drive this growth, including acting more like product companies. We found plenty of strong lessons his words hold for content marketers. Australian Political Party to Try Content Marketing (30:32): The Australian Labor Party is seeking to hire an agency to help it start a news service — a content marketing initiative. Robert’s take is that political candidates have always tried to dominate the news cycle; but what’s different about this plan is that ALP plans to create its own channel to promote its positions on issues. I think this is a very positive move, but I believe the party needs to be prepared for a potential downside. Why Paper May Be Tomorrow’s “Smart” Device for Content Consumption (36:40): An intriguing article from Wired shares scientific research that says our brains retain more knowledge when we read something in print, compared to on electronic media. Robert and I agree that marketers ought to thoughtfully consider print as a potential channel for their content initiatives, and that it’s still highly relevant for certain applications. Podcasting in Peril? Trial Showdown in September (39:52): USA Today reports that podcaster Adam Carolla has launched a crowdfunding campaign on FundAnything.com to defend his popular online show against James Logan, who claims he owns the patent on podcasting. So far, Carolla has raised $370,000; his goal is $1.5 million. Robert and I agree that podcasting is an important and underutilized content distribution channel for content. If you feel passionately about this issue, we think you should consider donating to this fund. 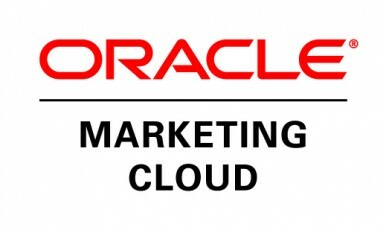 This week’s PNR is sponsored by Oracle Marketing Cloud (formerly Eloqua), which has released an excellent guide called Marketing Automation Simplified. 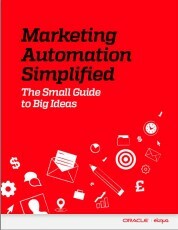 It’s the small guide to big ideas to improve your marketing automation expertise. More marketers are implementing marketing automation to maximize the value of their data, improve engagements, and effectively measure effectiveness. While automation technology also helps companies become more data-driven to improve accountability, it can be challenging to understand how to make the most of its functionality. Marketing Automation Simplified offers an introduction on 5 Tenets of Modern Marketing, and gives a breakdown on handy tips to help marketers automate and optimize data and targeting, email marketing, lead nurturing and scoring, content marketing, and sales/marketing alignment. You can download it here. Robert’s Rant: Morgan Drmaj, CEO of PlumeSocial, claims in a recent news release that he has been named The Best Content Marketing Expert in Los Angeles, a title that was determined through a poll — conducted by his own firm. Robert calls this ludicrously self-serving announcement the “poster child” for how not to do content marketing. Joe’s Rave: Amazon recently launched a social buying service for Twitter that does something awesome: If someone tweets a link to a product, users can reply to it with the hashtag #AmazonCart, and Amazon will automatically add the item to their shopping cart. Hats off to the giant online retailer for innovation at its best. 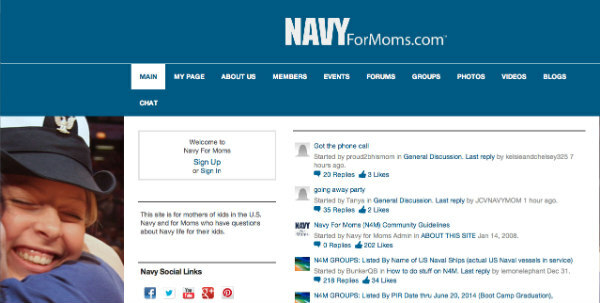 NAVYForMoms: The U.S. Navy has created a very helpful website where moms of young people who are serving in this branch of the military can ask questions and share their concerns and advice with other families of servicemen and women. If you’re planning to set up an online community, you can learn some excellent lessons on creating valuable content that offers a service from this helpful site.